In the buzz around the halls of the Palexpo where the SIHH is held, there are many who found the 1815 Tourbillon to be a candidate for Most Interesting. The watch is approachable in the simple 3 hand design. It also features the world premier of a zero reset of the seconds hand mounted on the axe of the stop second tourbillon, so that alone is grounds to be a candidate for the most impressive list. 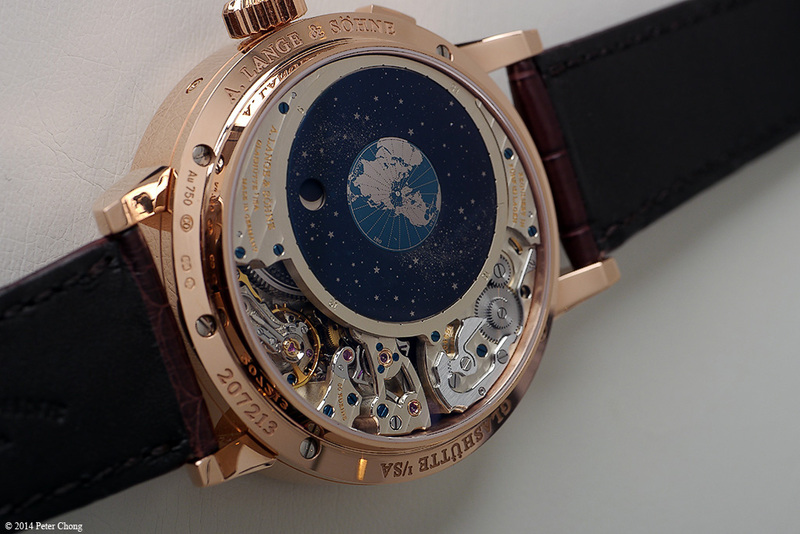 But I found the Richard Lange Perpetual Calendar “Terra Luna” to be more interesting. The Richard Lange Perpetual Calendar “Terra Luna” houses a totally new movement with perpetual calendar, the L096.1 is a 14 day power reserve and remontoir escapement, with a unique and beautiful way to present the progress of the moon across the firmament. 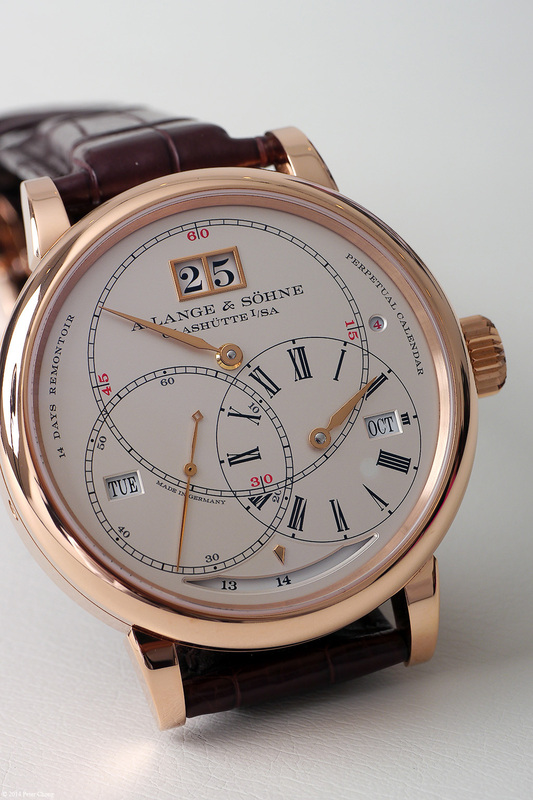 As is typical of the Lange brand DNA, the movement is beautifully laid out, and nicely finished. 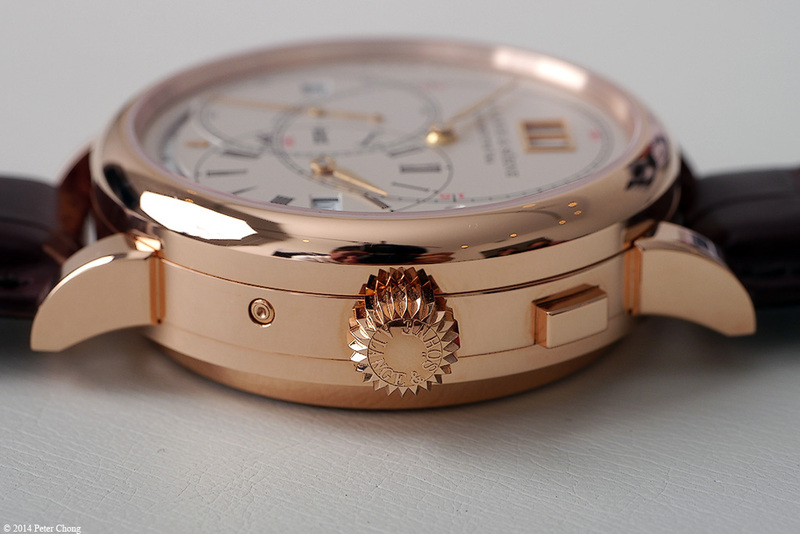 The watch is very teutonic in feel, being rather large at 45.5mm diameter and 16.5mm thick. 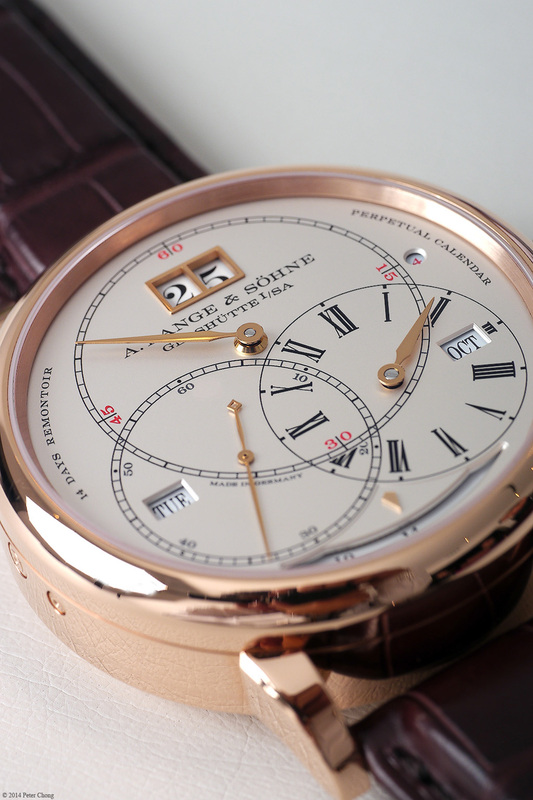 The time display on the main dial is regulator style, with the perpetual calendar indications in window cutouts. The trademark outsized date takes center stage. 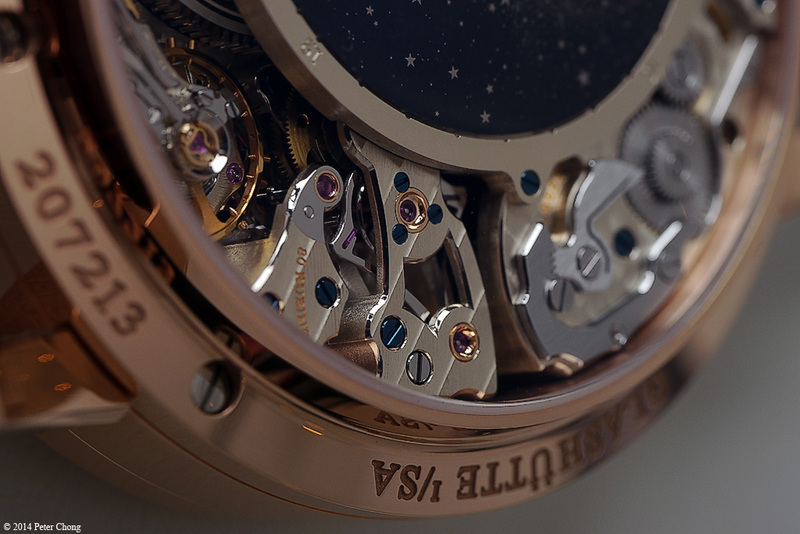 Pictured above, the bridge carrying the remontoir mechanism first seen on the Lange 31. 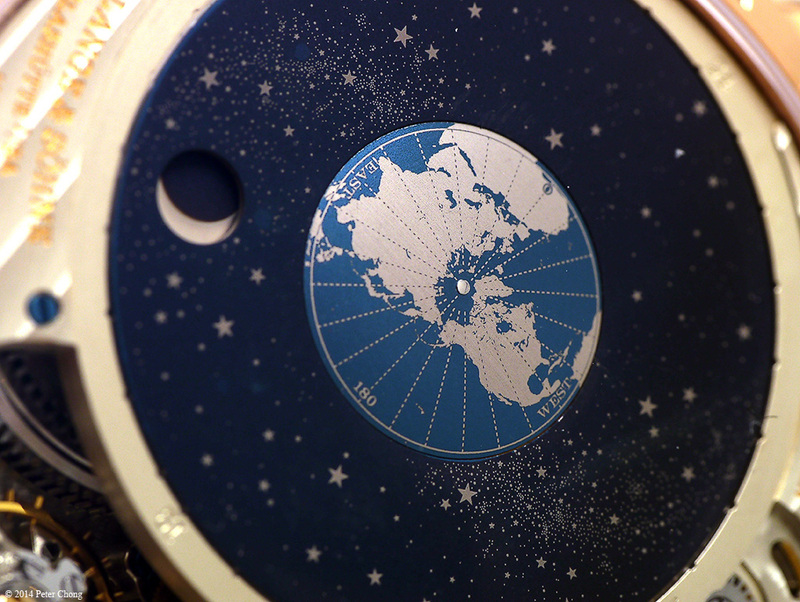 The moonphase display is also totally interesting. The setting is a large disc with an artistic representation of the sky with gold stars set on a stunning blue disc, revolving around the earth. And the moon, also revolving around the earth shows the phases of the moon in its orbit.